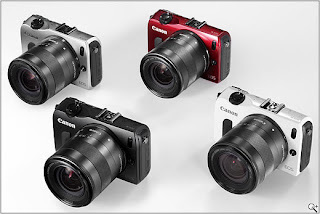 It is no secret that Canon's EOS-M mirrorless camera is less than a success so far and management is determined to amend their mistakes and make the EOS-M into a successful line in the near future. Now there is rumor Canon may be introducing segmentation to the EOS-M line by introducing a higher end camera in addition to an entry level model, much like what they did with the current DSLR bodies but not to the same degree. Price undetermined at this time.